At their recent GDC panel, Bungie's lead network engineer David Aldridge revealed that they were developing an MMO. Well it seems that his statement was taking out of context. According to Bungie in their recent update, "Now, in rehearsal Aldridge was convinced that everybody got the joke. It was all in the delivery, he assured us, and he was certain it was clear that he was playfully riffing off of the recent rumors." Strangely, however, while Bungie was quick to point out that their GDC announcement was meant to be taken in jest, they did not deny outright development on an MMO. One thing is for certain; David Aldridge isn't the best joke teller. Let's hope with this recent debacle that Bungie will open the curtains to their secret project. Gamers everywhere are waiting with bated breath to see what Bungie can do after leaving the storied Halo series behind. This week at GDC, in a behind closed doors session, Mark Rein of Epic Games showcased the company’s new efforts towards a more superior form of graphical integration that would presumably effect the future of the gaming industry. Tim Schafer, producer of Brutal Legend, has announced his next project. "Turn no-man's land into real man's land." This clever play on words referencing WWI trenches is the premise of Double Fine Productions' newest title. The game is called Trenched; it features mobile trench warfare. The mobile trenches look like the bottom half of a mech with a trench on the top complete with sandbags, soldiers and artillery. 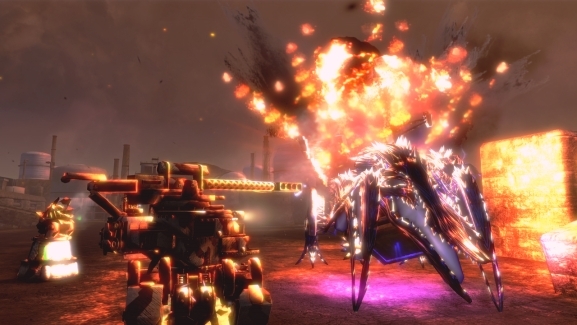 Although no details have been announced, just like any mech game the mobile trenches are customizable, which was showcased as a major aspect of the game. The trailer also implied that there will be coop with players from around the world. Check out the trailer here. Trenched is an XBLA exclusive. Reggie Fils-Amie, Nintendo's Chief Operating Officer, has just announced several new features for Nintendo's forthcoming 3DS handheld. A new partnership with AT&T for distribution of spot pass content, an upcoming Nintendo Channel for the 3DS, and perhaps the biggest surprise, planned Netflix Watch Instantly support for the portable, were all revealed. This summer, the 3DS will become the next device - and first handheld gaming system - to support Netflix Instant Streaming, for video on the go.